Niall Campbell Douglas Ferguson is a British historian relating to the fields of and economic history. His expertise in particular includes bond markets, hyperinflation and the history of colonialism. Ferguson was born on April 18, 1964 in Glasgow to a doctor father and a teacher mother. He studied at the Glasgow Academy. Ferguson credits his father for developing in him a strong sense of self discipline and morals regarding work and his mother for encouraging his creative side. His grandfather, a journalist encouraged him to write. Ferguson was brought up an atheist and he still remains one although he believed that The Ten Commandments is still a solid ethical code to live by. When the young Ferguson was unable to decide on whether to pursue studies in English or History, reading War and Peace led him towards choosing History. 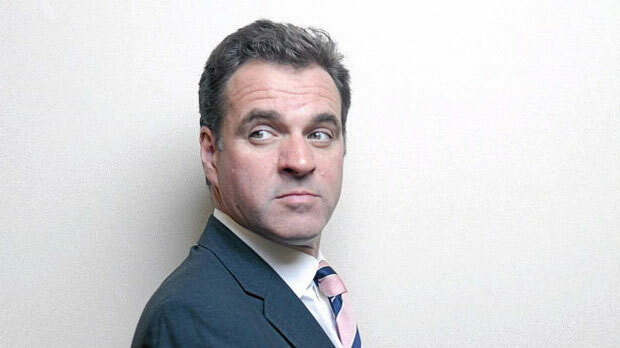 Niall Ferguson went to college at Magdalen College, Oxford where he studied on a half scholarship. In 1985, he graduated with a first class honors degree in History. More from his career includes Hanseatic Scholar, Hamburg and Berlin (1987-1988), Research Fellow, Christ’s College, University of Cambridge (1989-1990), Official Fellow and Lecturer, Peterhouse, University of Cambridge (1990-1992), Fellow and Tutor in Modern History, Jesus College, University of Oxford (1992-2000), Professor of Political and Financial History, University of Oxford (2000-2002), John Herzog Professor in Financial History at Stern School of Business, New York University (2002-2004), Laurence A. Tisch Professor of History, Harvard University and William Ziegler Professor of Business Administration at the Harvard Business School (2004-to date), 2010-11 Philippe Roman Chair in History and International Affairs at the London School of Economics, located within LSE IDEAS (2010-2011). Ferguson is also a Senior Research Fellow of Jesus College, University of Oxford and a Senior Fellow of the Hoover Institution, Stanford University in addition to being a resident faculty member of the Minda de Gunzburg Center for European Studies, and an advisory fellow of the Barsanti Military History Center at the University of North Texas. In 2010, the Education Secretary Michael Gove in the UK’s Conservative/Lib Dem government invited Ferguson to advise on the development of a new history syllabus in schools of England and Wales. In 2011, it was announced that Niall Ferguson would join the professoriate of New College of the Humanities, a private college in London. He began working as an Investment Management Consultant at GLG Partners in 2007. At GLG Partners, Ferguson focused on the prevailing structural issues in the economic behavior in relation to investment decisions. Also in 2007, Ferguson left The Sunday Telegraph to join the Financial Times where he still serves as a contributing editor. Ferguson also writes for Newsweek. Books written by Niall Ferguson include Empire: How Britain Made the Modern World, The Ascent of Money and A Financial History of the World and Civilization: The West and the Rest. Time magazine named Niall Ferguson among the 100 most influential people of 2004. Ferguson is currently working on the biography of Henry Kissinger.